There are moments when emergencies are unavoidable. With regards to your roof, emergencies can occur all of a sudden and for a number of reasons – it can come from a seasonal rain storm, a natural disaster, or even from winds strong enough to tear the shingles off your roof in an instant. Even if you own the world’s best roof, it eventually degenerates over time and may then require emergency repair. You must remember that your roof not only protects you and your home from the damaging effects of the elements and Mother Nature, it protects your family and/or your employees and your business as well. And so we appreciate how important a roof is to people and how important it is to your whole property as well. 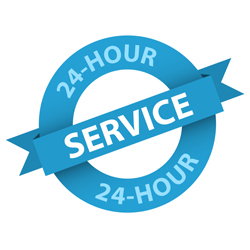 We have a rapid response full-time roof repair team that operates 24/7, 365 days a year. We take our job very seriously. We make sure that we provide you with service that will make your roof free of any damage and leak. Whenever you need us, just call and we’ll be there to repair any roof emergency you have at any time. We have a veteran repair team with exceptional skills and years of experience. We diagnose and fix your roof emergency as economically and as quickly as possible. Our service is comprehensive. This means that we don’t merely fix the leak and leave; we also thoroughly examine it and repair any other issues we might find in order to leave you with a solid and intact roof devoid of any problems. If your leak has any interior damage, we have the means to repair it. We handle damage to stained carpets, painting, as well as sheetrock, drywall damage, and damage due to wet insulation and much more.